Properties in St. Louis County average 4.2 out of 5 stars. 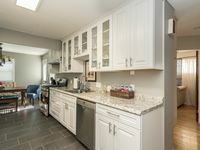 Close to so many attractions- 7 Minutes to Downtown STL!! 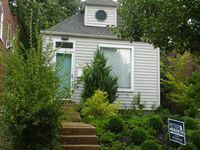 Property 55: Close to so many attractions- 7 Minutes to Downtown STL!! Property 56: (55.1S) True St. Louis Experience! Property 59: 1830's Luxury Brick Cottage, Cozy Fireplace, right off the Cobblestone Streets! Property 60: Awesome 1200 sq ft apartment centrally located near everything in STL! Property 62: 2 Bedroom 1 Bath Near Forest Park! Free Cable And WiFi! 2 full baths & 1/2 bath -- 10 minutes from downtown. Property 83: 2 full baths & 1/2 bath -- 10 minutes from downtown. Property 91: 1870's Luxury Guest Cottage, Historic Downtown St. Charles, Mo. Stewart Acres..."Big City Close, w/ Big City Charm"
Property 93: Stewart Acres..."Big City Close, w/ Big City Charm"
Property 95: 1790's Renovated Barn, Historic Main Street St. Charles, with 8 person Hot Tub! Property 97: Pet friendly--close to Purina Farms, 35 min from Saint Louis. Property 98: (53.1N) Walk To Forest Park In Comfort! Property 99: (53.2S) Jewel of Central Saint Louis! Nicely finished. Comfy beds. No BBQ grill. Very clean. Big park at end of quiet block with three playgrounds. Would rent again!